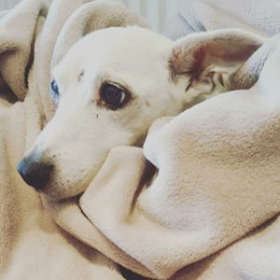 Little old man Charlie the JRT came into HYPS care in early 2018 at the grand old age of 16! He was incredibly distressed in a kennel, so luckily a wonderful couple stepped up to foster Charlie. It became clear he wasn’t in the best of health, and after a raft of blood tests, Charlie was diagnosed with Cushings Disease. It took a long time to get Charlie onto the correct dose of Vetoryl tablets, but he is now stable and doing well. He also needs blood tests every 3 months. Due to Charlie’s age, ongoing health issues (and the fact that he can be a grumpy little old man who likes to do his own thing! 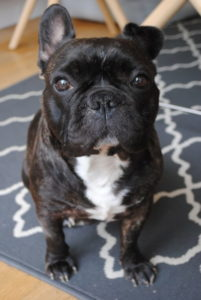 ), it was decided to be in Charlie’s best interest to stay with his foster parents permanently to avoid any more change and disruption to Charlie. He is our very first ‘sponsor dog’ and we appeal for any donations to help us to ensure Charlie’s safe and healthy future.